Breyer Classic Horse Red Roan American Quarter Horse Mare #61021 Great condition other than a small rub on the upper leg. Measures 4 3/4" talland is 9 1/2" long. 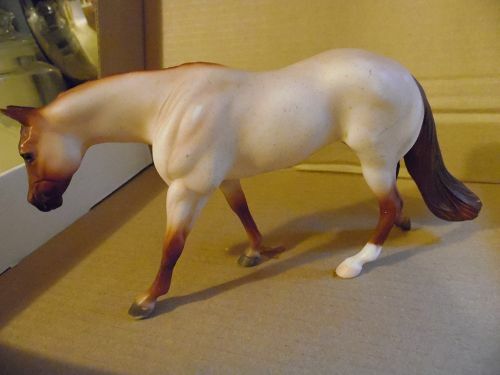 Vintage Breyer Model Toy Horse. It maybe "Mesteno, Mustang". It is marked with a galloping horse symbol. It is in very good condition. It has no scratches, scrapes, dings and stains. It's color is buckskin. It measures approx. 7" x 7" x 2". 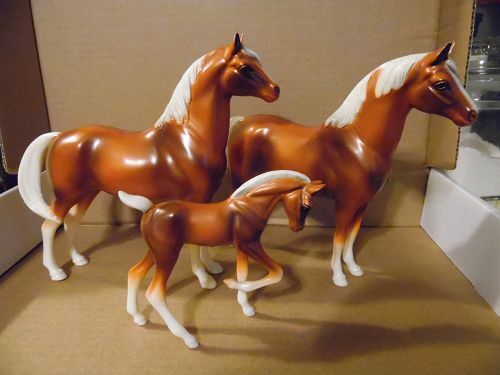 Breyer Pirro Classic Size Mold: Mesteño Sorrel Overo Pinto Mustangs, Mare and Stallion. Released: 2001 Sculpted by: Rowland Cheny. Nice condition, no damages. 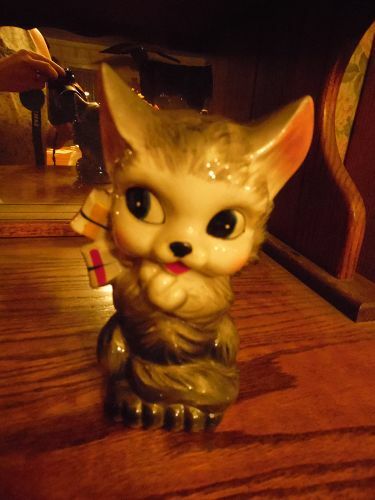 Adorable vintage grey kitty cat bank. She is wearing a plaid bow. 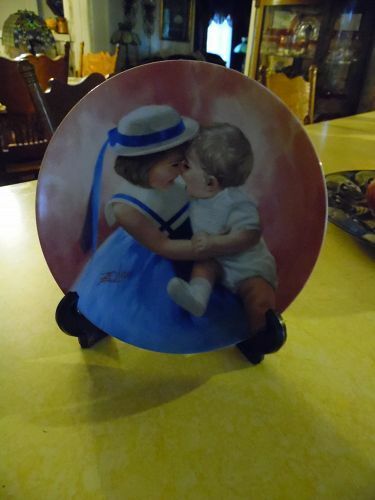 Made of had painted glazed ceramic. Bow is cold painted. 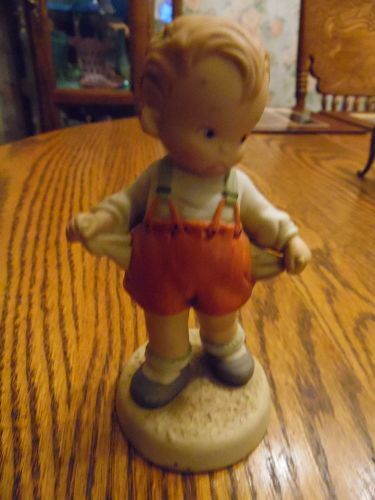 Measures 7" tall and has a large coin slot. Perfect condition but missing the rubber stopper on the bottom. Original Victoria Ceramics Japan foil sticker on the bottom. 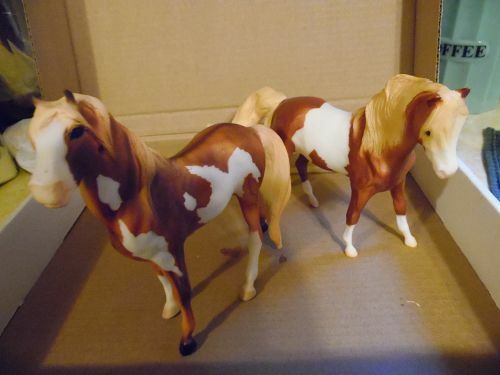 Vintage 1960's Hartland Horse Set of 3. Stallion, Mare and foal. Rare Copper Toned Arabian Stallion, Mare, & Colt 7 in. size. Condition: All three are in excellent condition. Marked Hartland Plastics. Sold as a set. Vintage 1960s Hartland Gray Arabian Mare Plastic Horse. 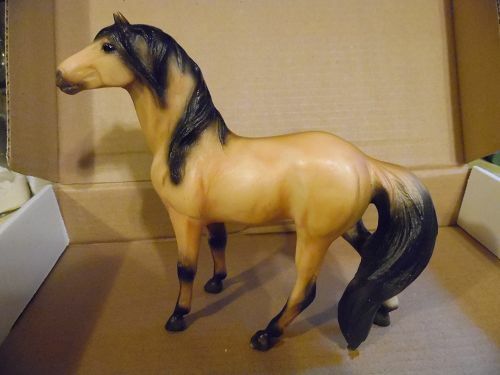 This is another proud Arabian Mare plastic horse. She is gray with white on her body and a black mane and tail. She measures 7-1/2" long by 6" tall. She does have some of wear and rub spots on her grey and the tip of one ear has been chipped. She is in average shape with the foal being in very nice condition. Stamped inside the leg with The Hartland Plastics stamp with an R.
Vintage 1960's Hartland Plastics Model Horses. Arabian mare and foal. Golden Palomino's with white mane and tail. Very nice condition with no damages. Mare is 4-3/4" high, 6" long. 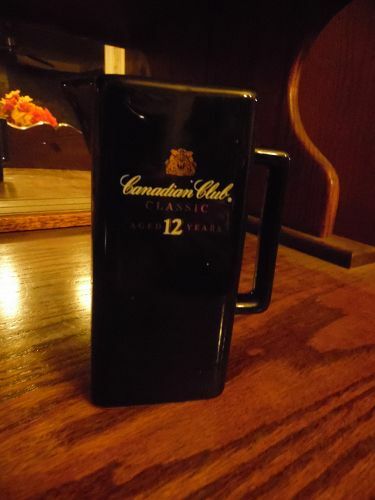 Vintage Canadian Club Classic Black Pitcher Size: 5-5/8" high x 2-1/2" square at the base. Condition: Very good condition. Made of porcelain. I have 2 available. Price is for each. 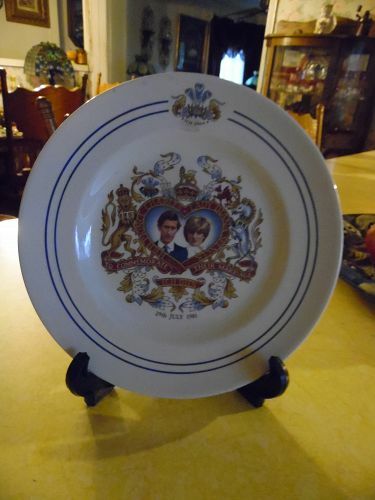 Nice looking well marked plate commemorating the marriage of Prince Charles & Princess Diana 29th July 1981. Staffordshire Potteries Ltd. Kiln Craft Tableware Made in England. Measures 10" diameter.Excellent condition. 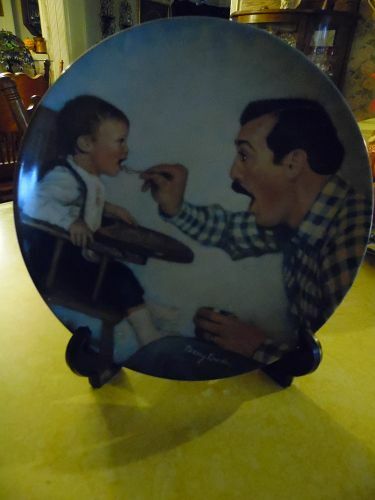 Darling 1988 collector plate by Donald Zolan. It is about 7-1/2" in diameter Numbered and of limited edition by Pemberton & Oakes. Titled Mother's Angels.Depicts a sister with her baby brother. It was the first in Zolan's mothers' day series. It is new but without a box or paperwork. No chips, cracks or crazing. Open Wide by Betsey Bradley. First issue in the A Fathers Love Series. limited edition, Numbered. Edwin M. Knowles China, 1984. 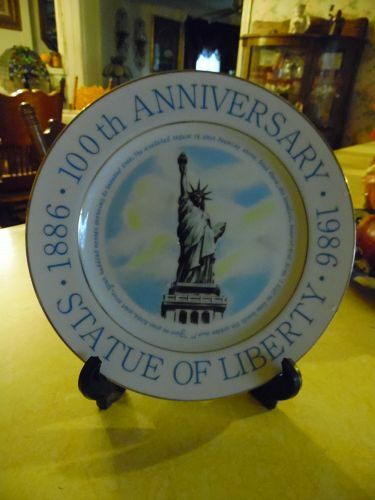 Measures 8 1/2" NO certificate of Authenticity or original packaging, PLATE ONLY.No chips cracks or damages I can detect. 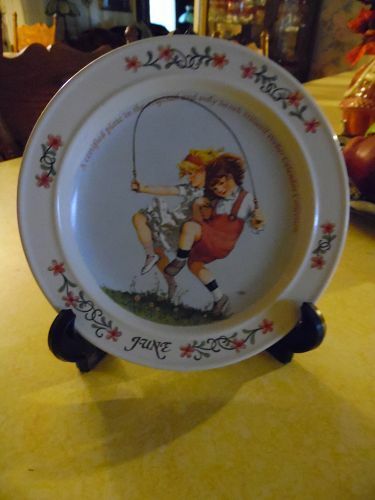 Vintage Collectors Plate by Newell Pottery and artist Sarah Stillwell Weber from the calendar series. This is for the month of June. 7 1/4" diameter. Excellent Condition. Plate only. 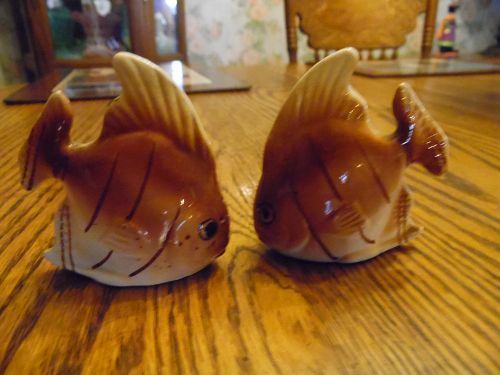 Adprable hand painted vintage angel fish salt and pepper shaker set . Measures 2 3/4" tall and has original cork stoppers. Stamped Japan. No chips cracks or damages. 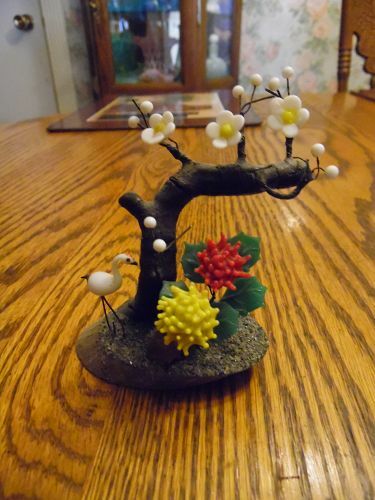 Vintage Asian bonsai tree is just under 4" tall and has glass flowers and leaves with a small white blown glass crane. Wood base. VERY nice condition. On the bottom it is stamped Made in Japan. 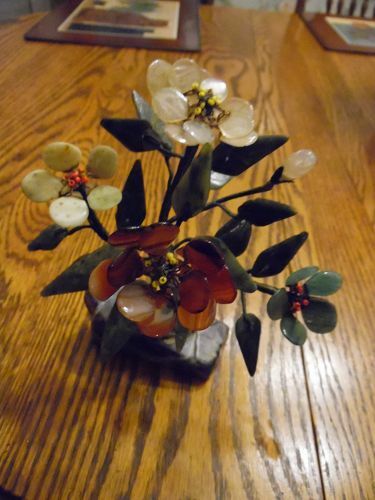 Vintage 6" gemstone flower tree. This is in excellent antique condition, This will require thorough cleaning. The base is a black veined stone, stems are metal wrapped in green silk, flowers are carved from rose quartz, carnelian, and serpentine and/or jade, leaves are all jade,and white and orange glass beads are in the center of each flower. Unsigned. 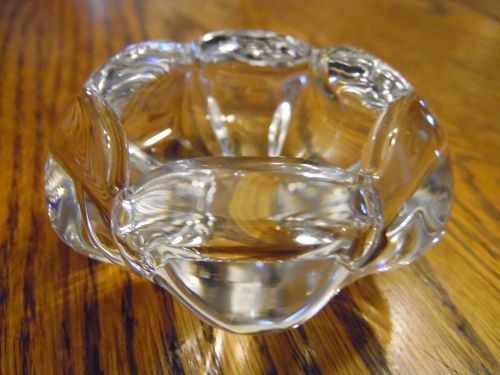 6" tall 6" wide (flowers).Base: 3"x 1"x 1.5"
Top quality signed Swedish crystal ashtray, circa 1960's.Vintage Swedish crystal ranks among the finest in the world and Orrefors is still one of the premier glass makers in Sweden. This lovely crystal ashtray is signed by hand-etch on the base. Made in the 1960's. Measures approx 3" diameter and 1 1/2" deep.PERFECT CONDITION. Extreme high clarity crystal made with lead. Could be used as a votive candle holder but was originally an ashtray.